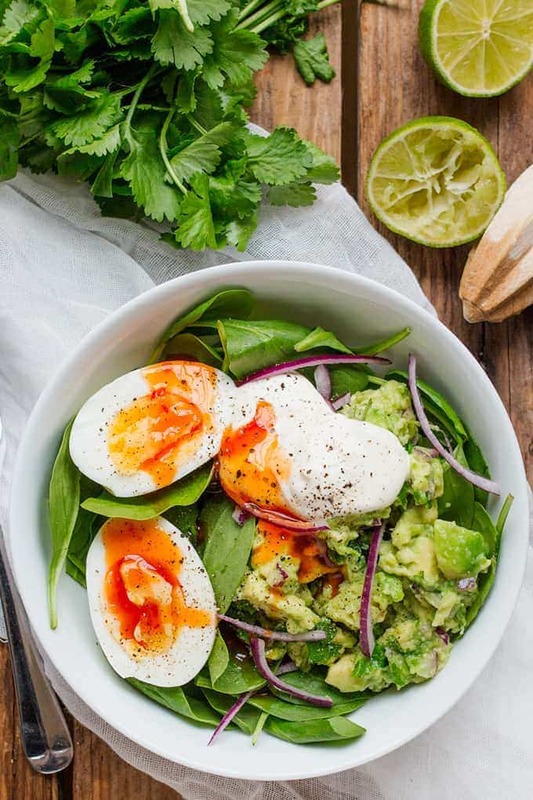 This Guacamole and Egg Breakfast Bowl contains homemade mild guacamole (I held off on the garlic and fresh chillies – it is breakfast after all), sliced up egg, baby spinach and a lovely dollop of sour cream. The sweet chilli sauce is optional – but if you’re in two minds, then definitely go for it! Ok, granted it does look a bit like salad, and it’s a far cry from the comforting stacks of pancakes, Asian recipes (like my favourite Sesame Chicken), hot smoothies or chocolate banana oat cookies that I generally post. However, this Guacamole and Egg Breakfast Bowl is pretty darn amazing. But I prefer it with the toast (of course). This is what I had on Monday for breakfast and it kept me going all morning whilst I wrote my income report. Ooh ooh by the way, thank you so much for all the lovely comments and emails regarding the report. I was so nervous publishing my first one. I guess sharing ones’ income isn’t a common thing, and I was worried I’d regret it, but all of your messages have spurred me on to keep going with them. Plus, I’m hoping that reporting back will also keep me accountable for continuing to experiment, build and grow Kitchen Sanctuary. 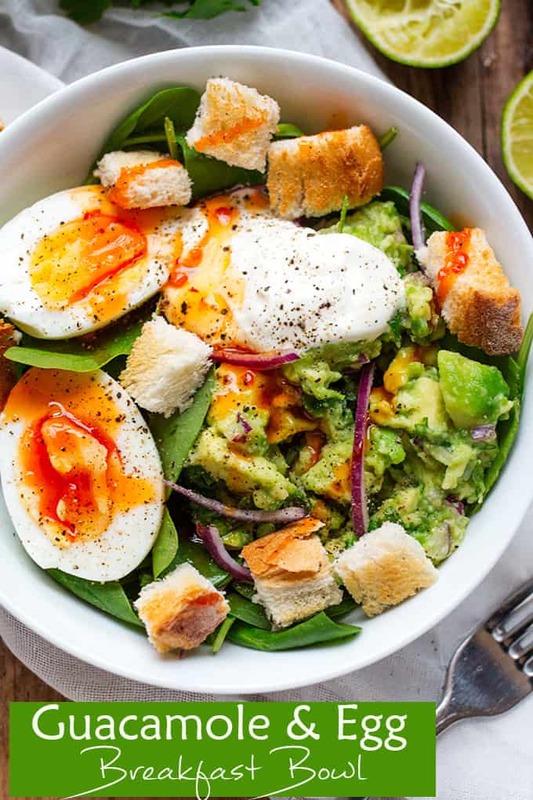 Coming back to the breakfast bowl: Are you a guacamole fan? I was messaging Chris on Monday (he was at work) and I mentioned I’d had this amazing egg and guac breakfast, and his reply? An emoticon puking green stuff!!! 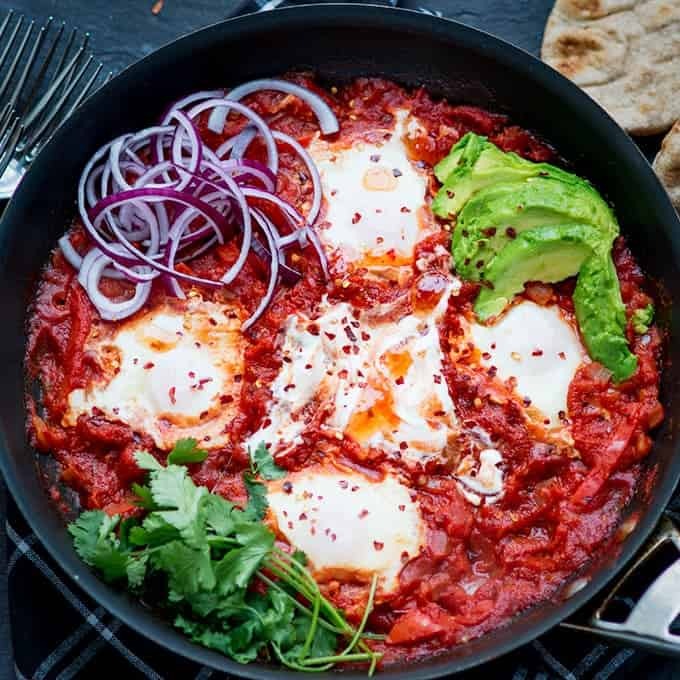 I should mention that he hates eggs – unless they’re in cakes or egg-fried-rice– and he’s not a fan of guacamole – unless it’s served with a big vat of chilli. But a puking emoticon? Peh! Well I hope you’re all in my camp and this looks like your kind of breakfast (no more puking emoticons please :-)). 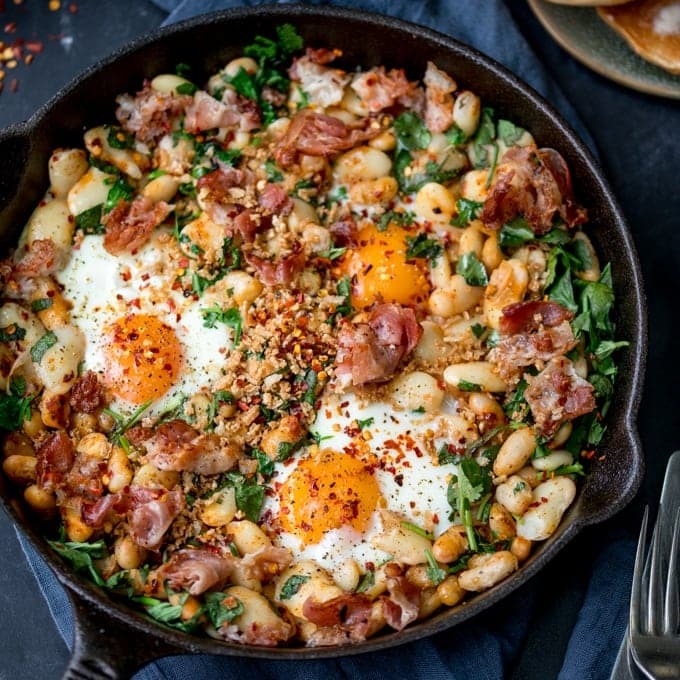 A delicious, healthy and filling breakfast - ready in 10 mins too! Place the egg in a pan of cold water, bring to the boil, then simmer for 5-6 minutes. Turn off the heat and drain off the water. Leave the egg to cool (you can put it in some cold water to speed up the process if you like). Peel the egg and slice in half. Now make the guacamole by mashing all of the guacamole ingredients together. 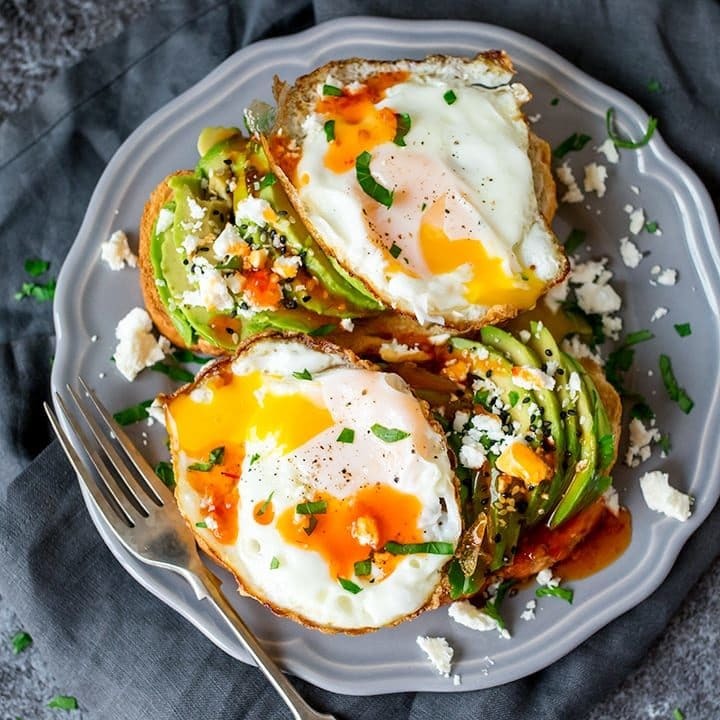 Place the spinach in a bowl, top with the guacamole, egg, slices of red onion, cubes of toast, a blob of sour cream, a drizzle of sweet chilli sauce and a sprinkle of pepper, then serve. 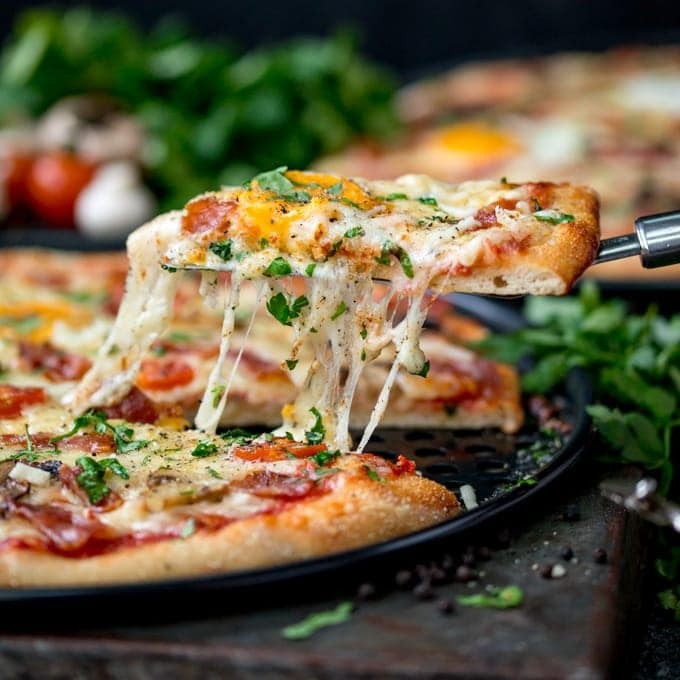 Oh my goodness, this recipe is HEAVEN!! 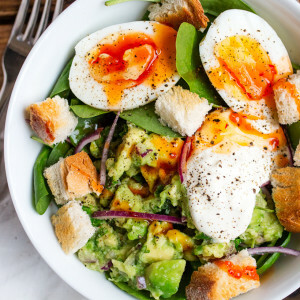 who could say no to avocado for breakfast?